Utahns for a Just Peace in the Holy Land (UJPHL) is a coalition of civil and human rights advocates who promote peace with justice in Israel and Palestine. We believe that a true and lasting peace in the region cannot be imposed, but instead must be based on justice as already set forth by international law and United Nations Resolutions. We are committed to nonviolent social change and support the right of both Israel and Palestine to exist in peace within secure and recognized boundaries. Our goal is to inform, educate, and mobilize the public by providing balanced and accurate information on the conflict and by calling attention to our government’s supporting role in continuing the illegal Israeli occupation. We support an end to U.S. military and economic aid to Israel until Israel ends the occupation and complies with UN Resolutions and U.S. and international law. 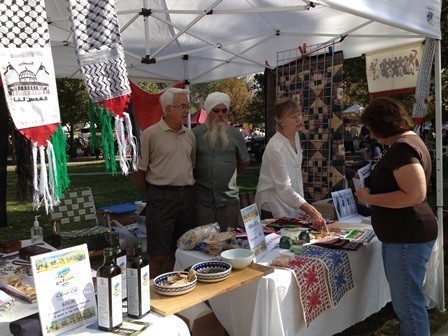 We are affiliated with the U.S. Campaign for Palestinian Rights and Friends of Sabeel North America. We are a registered non-profit organization. Donations to UJPHL are tax deductible and can be mailed to: UJPHL, PO Box 431, Kamas, Utah 84036.